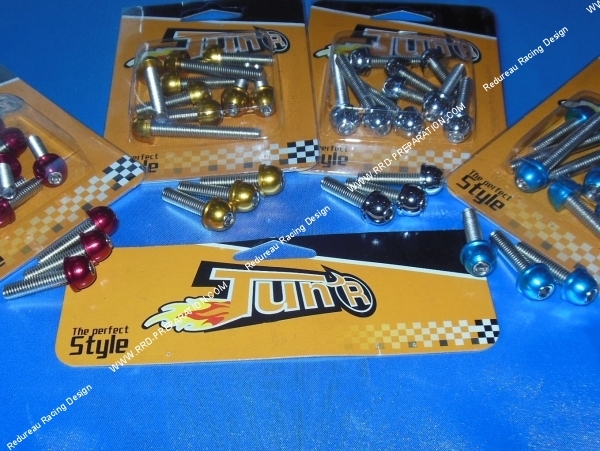 A good quality screw set that will give style to your motor scooter minarelli vertical. 9,82 € 9.82 tax incl. TUN 'R Decorative hardware kit steel for all scooter equipped with a motor Minarelli Vertical such as MBK Booster, Yamaha Bw's ... and many other models that are ideal for a tuning and racing look to the engine of your machine they can of course be used for other purposes. They are of very good quality steel. They will therefore be perfect to give a nice aesthetic touch. This complete set contains 12 Ø6mm housing screws. 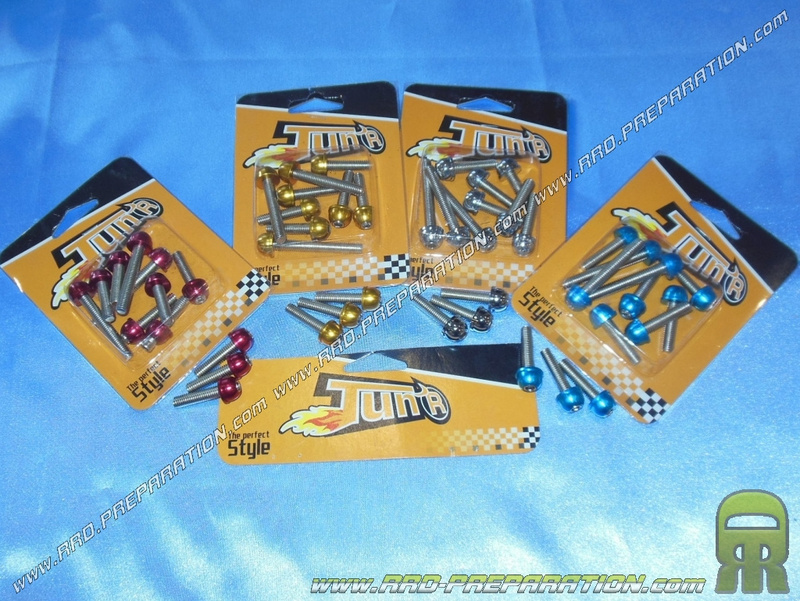 Available in several colors: anodized BLUE, RED anodized, OR anodized and anodized CHROME.